Autonomous Solutions, Inc. (ASI) develops unmanned vehicle technology and software for mining, farming, automotive, and government partners worldwide. ASI has extensive experience automating both large and small vehicle platforms, specializing in remote control, teleoperation, and full vehicle automation. Our industry-leading solutions focus on coordinated multi-vehicle control, mission planning, sensor fusion, obstacle detection and avoidance, and automation of dull, dirty, or dangerous tasks. ASI has automated more than 70 different vehicle types and has worked with a variety of government agencies and Fortune 500 OEMs, including: Ford Motor Company, Rio Tinto, Phelps Dodge/FMR, US Army TARDEC, Navy EOD Technology Division, SPAWAR, and DARPA. ASI’s 100 acre proving ground in northern Utah houses six paved and dirt robotic test tracks. Mobius is the industry’s most advanced robotics software system. Developed especially for unmanned ground vehicles using SAE AS-4 (formerly JAUS), Mobius enables seamless operation of multiple vehicles from one central command station. Mobius allows an operator manage an operational area for an autonomous vehicle, plan and execute complex vehicle tasks, collect reporting data, and set parameters for safe, continuous operation. ASI provides a high quality, cost effective solution for automating nearly any vehicle type. The Nav™ Automation Kit leverages a system of robotic components to convert nearly any vehicle from manual to fully autonomous control. The Nav onboard computer receives commands from a remote user, relays commands to the vehicle’s functions (typically through the vehicle’s CAN bus system), monitors vehicle health indicators real time, and provides feedback to the operator. Upgrade your basic Nav kit with Vantage. Based on input from multiple sensors, ASI’s Vantage system is able to detect potential obstacles and then dynamically plan a safe way to avoid the obstacle. 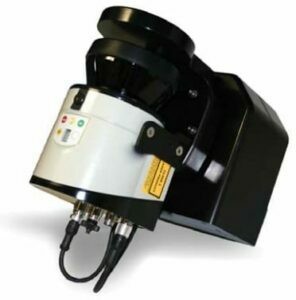 Vantage integrates with most LIDAR sensors currently available. Guideline is the simplest and most affordable way to automate your unmanned vehicle convoys. Guideline uses a Kevlar cord to physically tether automated vehicles to a lead vehicle. Sensors in the Guideline unit relay direction, speed, and distance to the follower vehicle’s Nav onboard computer. 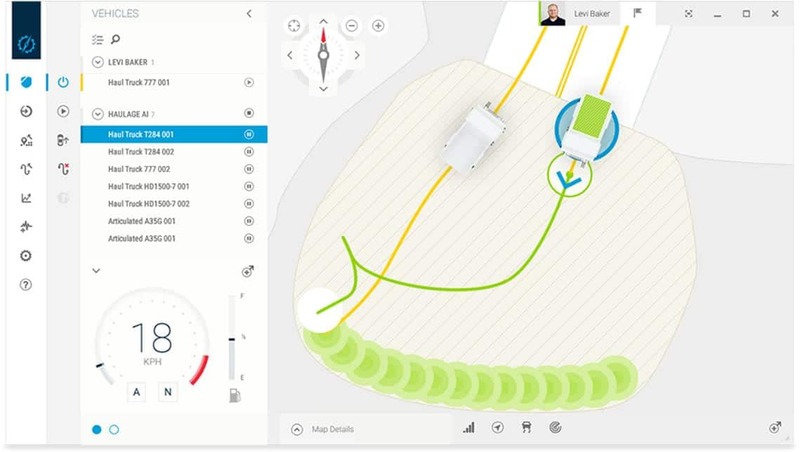 The onboard computer then plots a course that exactly mimics the lead vehicle’s pathway. Convoys of autonomous vehicles can be strung together with Guideline and operate at highway speeds in excess of 50mph. Guideline can be implemented alone or is an affordable, redundant failsafe system for other types of unmanned convoy technology. Guideline’s new design is smaller, lighter, and provides the same level of functionality as the larger legacy versions. 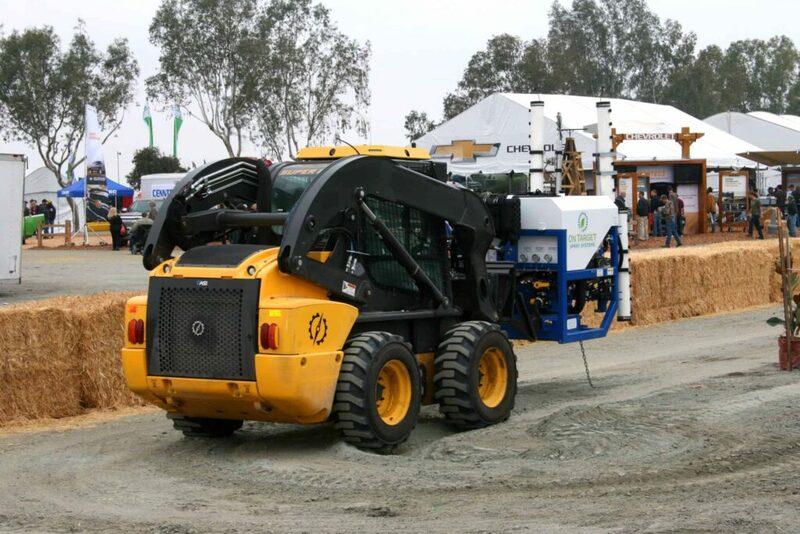 Leveraging a skid steer base and more than a hundred existing attachments, Forge is the world’s first x-by-wire robotic solution. Forge answers the need for a capable and affordable robotic system that can perform a wide variety of functions across multiple markets. While useful in many industries, Forge’s narrow frame and exceptional load capacity makes it especially proficient in orchards and vine-yards. 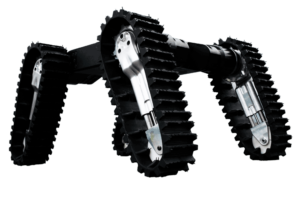 Using four independently rotating track arms, Chaos can easily navigate nearly any terrain from snow to stairs, including steep inclines. While it was primarily developed as a robotic solution for the US military, the mining industry has found use for Chaos as well. A mine in South Africa uses Chaos to inspect areas following blasting. Forecast combines a third party LIDAR sensor with a vertical spinning base to create a three dimensional navigation map for autonomous vehicles. The 3D point cloud or cost map can be useful for obstacle detection and avoidance systems of all types. Forecast is heavily used in the mining and farming industries. ASI’s research and development engineers have worked on many government and private contracts to bring about advances in robotic technology. Current research projects include small robot navigation and manipulation, obstacle detection and avoidance, GPS denied navigation, and LIDAR/vision based road following. For government projects or custom engineering quotes, please request a quote on our website. By submitting this form, you consent for your details to be sent to Autonomous Solutions Inc and its authorized partners in order to respond to your inquiry. Depending on the location of the organization, your personal information may be transferred and processed outside of the European Economic Area.